ICL Calibration’s NIST traceable Vaccine thermometers are specifically designed to comply with CDC, CLIA and EPA specifications. All thermometers are supplied with a NIST traceable, ISO/IEC 17025 accredited report of calibration. 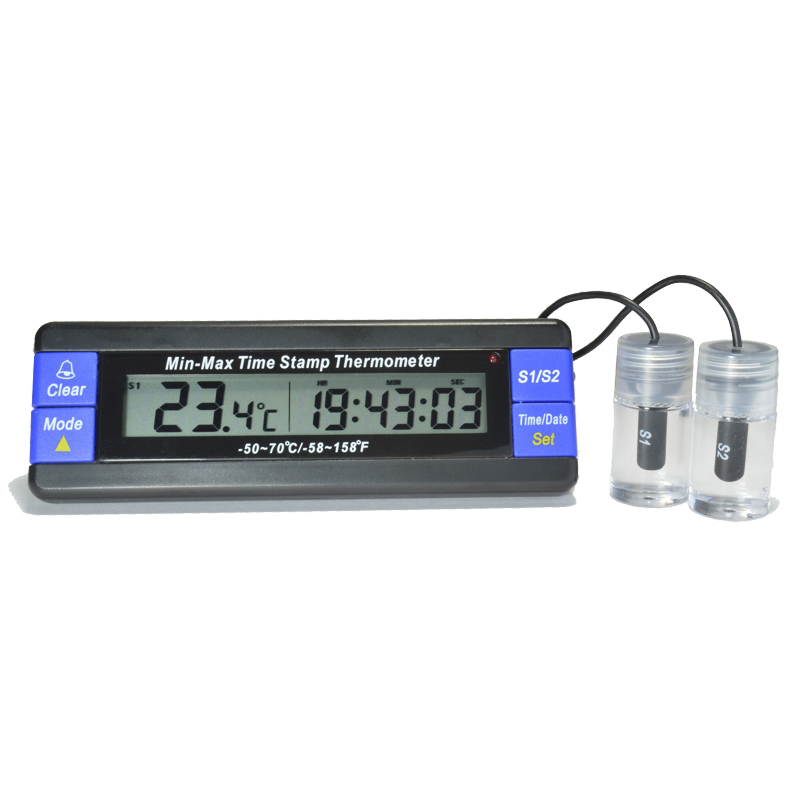 Dual thermometer displays the temperatures of two separate probes in °C and °F. Allows putting one probe in the freezer and another in the refrigerator (or measure two areas of a refrigerator). Range is -58/158 °F and -50/70 °C with a resolution of 0.1° and an accuracy of ±1 °C. Displays date and time when minimum and maximum temperatures occur. Audible and visual alarm feature provides alert when temperature rises above or falls below two set points. Alarm is programmable in 1° increments. Three foot cable permits refrigerator or freezer doors to close on it. Probe is sealed in a media bottle (1 x 2 inch) filled with a nontoxic glycol solution.